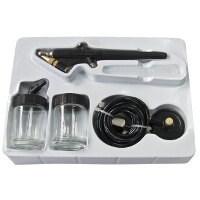 Keep your air tools in excellent working order with the necessary accessories from our air kits range. Featuring air gauges and traps, browse the full collection below. Investing in the proper equipment is often a great step to take towards producing professional-looking results, and air-powered tools are often a good place to start. 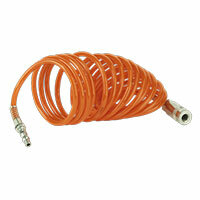 Accessories such as water traps are a handy tool to have at your disposal, particularly for use in spray guns. They can help to protect your existing tools from water damage, leaving you free to continue with the task at hand. At Euro Car Parts, we stock over 130,000 different parts. Featuring an extensive range of both car parts, tools and accessories, you’re sure to find the equipment you need for all manner of vehicle maintenance tasks with us. If you’re unsure which tool or piece of kit is the right one for your needs, simply give us a call, or pop in to one of our 200 branches around the country where our team will be on hand to provide you with expert advice. Take a look at the full range of air kits and accessories today.